2020 Teacher of the Year applications are being accepted through June 10, 2019. The Idaho Teacher of the Year Program, which began in 1959, is one of the most prestigious honors in the state for teachers. The program focuses public attention on excellence in teaching that has a real impact on the students of Idaho. The Idaho Teacher of the Year is chosen from among district nominees by a selection committee representing state education leaders and lawmakers. Each school district and charter may nominate a teacher to fill out the Idaho Teacher of the Year application. Applications are being accepted through June 10, 2019. 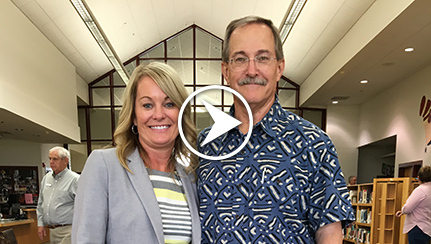 The Idaho Teacher of the Year serves as Idaho’s nominee for the National Teacher of the Year program, a project of the Council of Chief State School Officers. Idaho’s newest Teacher of the Year offers a distinctive blend of credentials and characteristics: In addition to being a skilled and passionate high school teacher, he leads the state’s most-honored FFA program and serves as mayor of American Falls. Superintendent Ybarra surprised Beitia with the award in his classroom Sept. 10. Now in his 35th year of teaching, Beitia helped create American Falls High School’s agriculture education program in 1990 and has been part of the school’s leadership team ever since. As advisor for American Falls’ FFA chapter, he has helped students develop strengths and skills to win numerous state and national honors with a focus on farming knowhow, technology, communication skills and command of agricultural issues. In each of the past two years, American Falls FFA has been named one of 10 National FFA Model of Excellence finalists and also received a National Premier Chapter Award both years. Beitia expresses pride in his many students who have gone on to university success but also stresses the importance of developing a skilled local workforce, producing graduates who contribute to the local and Idaho economies by filling much-needed roles in area businesses. The cycle of benefit flows in both directions. Area businesses have been hugely supportive of Beitia’s program and students, and FFA students with Spanish as their first language mentor Hispanic adult workers from major American Falls employers. Serve as Idaho's nominee for National Teacher of the Year.